The basics of Medi-Cal and how it works with Covered California. Medi-Cal was one of the biggest mysteries during open enrollment in the new ACA health plans. Even though Covered California advertised a “no wrong door” approach to signing up for health insurance, when a client had to go through the Medi-Cal door, not even Covered California could tell them what to expect. Finally, seven months into the expanded Medi-Cal program, the Department of Health Care Services has finally put together a presentation that goes over the various parts of Medi-Cal and how the system works. New Covered California – Medi-Cal guide available for download at end of post. Covered California has made numerous changes to their online enrollment application including changes to reporting income. For a review of the changes and to download documents visit 2016 income and application change for Covered California enrollment. Medi-Cal, California’s version of Medicaid is big and complicated. It starts with the federal government funding to California for the Medi-Cal program. On the state level, the Department of Health Care Services, which is under California’s Department of Managed Health Care, administers the overall program. However, each county is actually responsible for enrolling residents in one of the numerous managed health care plans. Each county will have anywhere from one to four different choices of HMO plans that a resident eligible for Medi-Cal will have to enroll into. Currently there are over 10 million people enrolled in Medi-Cal programs. DHCS MAGI Medi-Cal individual household size flow chart. New -> DHCS MAGI Medi-Cal individual household size flow chart. The role of Covered California is to determine if the applicant is Medi-Cal eligible by the stated annual income and then hand the information off to the respective county of the applicant’s residence. Individuals and families eligible for Medi-Cal can upload their income and residency documents into the Covered California system to be verified by county. Even though the expanded Medi-Cal program under the ACA is open to every household with an annual income less than 138% of the Federal Poverty Line, there are many different programs within Medi-Cal and programs specific to certain counties that people may qualify for beyond straight enrollment through Covered California. The Medi-Cal Essentials presentation was a webinar developed for Certified Insurance Agents to answer the numerous questions agents and their clients had about enrollment. The webinar is approximately 2 hours long and can be opened via this link. I found the audio was garbled when the recorded presentation was viewed through Window Media Player. I was able to improve the audio by switching to Adobe Flash Play by clicking on one of the icons next to the refresh media button. Should you report your pregnancy to Covered California? The power point presentation is a fairly good overview of everything they participants discussed during the recorded webinar. There were some clarifications in the audio portion that are not displayed in the power point presentation slides. It was also evident that there are certain Medi-Cal rules that are different from Covered California. For instance, Covered California gives households 30 days to update their income when it changes, but Medi-Cal wants to be notified in 10 days if the income increases. Below I have tried to hit some of the main points of the presentation. For additional information you should review the power point presentation or actually listen to the webinar. You can download the full power point presentation with all the slides and commentary at the end of the post. Anonymous Medi-Cal eligibility workers randomly attack Covered California accounts and change information. How is Medi-Cal eligibility verified? Adult eligibility solely based on income for ages 19 – 64, no asset test. Former foster youth eligible regardless of income under age 26. These applications should go through the county office not Covered California. What’s covered in a Medi-Cal health plan? Expanded benefits under Medi-Cal plans include mental health services such as individual or group evaluation and treatment, substance abuse and adult dental services. A beneficiary who is identified as having a significant impairment from a mental health disorder will be referred to and can access Specialty Mental Health Services provided by the county Mental Health Plan. In order to qualify for these services, a beneficiary must meet criteria designated in a regulatory statute. Eligibility is determined when the patient is assessed by a mental health professional. What about Access for Infants & Mothers? This is a higher income level than Medi-Cal kids in the other counties. What about Former Foster Youth ageing out of the system? What are the two types of Medi-Cal? COHS: County Organized Health System, non-profit independent public agency that administer Medi-Cal benefits. Residents in a COHS, enrollment is mandatory, no Fee-For-Service. Non-COHS: these counties offer either a local HMO or private HMO to administer Medi-Cal benefits. Beneficiaries will be able to choose the HMO they want. Special Population: Usually dual eligible beneficiaries, Medicare and Medi-Cal, with special health needs. Such as PACE: Program of All-inclusive Care for the Elderly or special health plans for HIV-positive individual. Slides 17 – 23 lists the various counties and the plan offered. Do current Medi-Cal beneficiaries, pre-ACA, need to re-apply? Are medical bills covered prior to Medi-Cal? Medi-Cal will pay prior month’s medical bill for three months prior to acceptance. What are the Medi-Cal Income and Asset tests? There are two types of Medi-Cal eligibility those who must meet Modified Adjusted Gross Income (MAGI) of the ACA and Non-MAGI individuals. Who qualifies for Non-MAGI Medi-Cal? Individual participating in linked SSI/SSP or CalWORKS program. Over 65 years old within certain asset and income tests. How is MAGI used to determine Medi-Cal eligibility? What comprises a household for MAGI? What are the residency requirements for Medi-Cal? 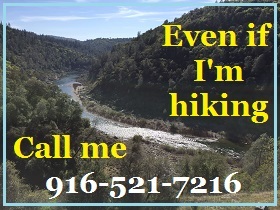 Physically present and living in California with or without a fixed address. The beneficiary is enrolled in either Fee-For-Service or Medi-Cal managed health plan that meets all the ACA essential health benefits. What is restricted scope Medi-Cal? Supplementary services such as Medi-Call Access for pregnant women or breast and cervical cancer treatment programs. What about Dream Act or Deferred Action for Childhood Arrivals (DACA)? Why do families have children in Medi-Cal and the parents in a private plan? What is a pregnancy wrap? In 2015 Medi-Cal will pay the Covered California health plan premiums, copayments and deductibles for pregnant women, if they choose, with incomes under a certain FPL. See slide 46, page 49 for more details. This will “wrap” Medi-Cap around a private health plan for greater protection financially for the family. If electronic verification of documents that were uploaded to the Covered California website can not be made, the application will pass state residency. Current policy temporarily suspends the requirement to provide paper verification if it can’t be made electronically. When do individuals and families notify Medi-Cal of Changes? Report changes within 10 days. This is different from Covered California that provides a 30 day window to report changes. What about self-employed people with fluctuating income? Eligibility is based on current monthly income. Income should be estimated in the same manner as applying for a health plan through Covered California. How can a family dis-enroll from Medi-Cal? If income or household size changes during the year, reporting those changes through Covered California may change Medi-Cal enrollment. 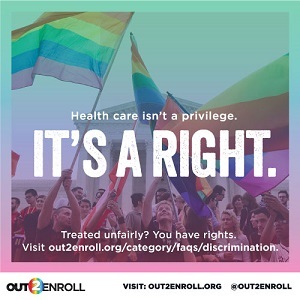 A qualifying event such as moving or marriage may also dis-enroll an individual from Medi-Cal if the household income increases above the FPL thresholds. Is everyone 65 years old eligible for Medi-Cal? No, income and disabilities will still apply for eligibility for Non-MAGI Medi-Cal. A 65 year old taking care of a parent or relative may qualify for Medi-Cal under Non-MAGI guidelines. Are people over 65 eligible for the advance premium tax credits (APTC)? Generally No, if they are eligible for Medicare which is already has subsidized premiums. The child of a Medicare recipient can receive the tax credits to lower the monthly health insurance premium. Covered California has clarified that if an individual over 65 year must pay a premium for Part A Medicare they may be eligible for APTC. If an individual is over 65, not eligible for premium free Part A Medicare, they can be eligible for Non-MAGI Medi-Cal which will consider their assets and monthly income. When will Medi-Cal enforce Estate Recovery to get repaid? Estate recovery may be delayed if there are certain surviving family members such as children under 21 or spouses. Under SB 833, Estate Recovery has been eliminated for individuals over 55 on MAGI Medi-Cal beginning in 2017. Can an individual have Medi-Cal and receive a tax credit for a private plan? No, unless the Medi-Cal program is restricted in scope such as Medi-Cal Access for pregnant women. Is losing Medi-Cal coverage a qualifying event? Yes, the loss of Medi-Cal as minimum essential coverage because of an increase in wages is a qualifying event that allows the household to enroll in a Covered California health plan with tax credits under a Special Enrollment Period of 60 days. When can individuals enroll in Medi-Cal? Medi-Cal is “open enrollment” year round. Can an individual get temporary Medi-Cal in case of an emergency? The Presumptive Eligibility is good for 60 days. The individual or family must submit an application within 60 days of the PE being granted. How does CalFRESH work with Medi-Cal? Individuals receiving CalFRESH benefits are able to enroll in Medi-Cal without completing an application due to their income and residency already being verified. What happens if the household is determined eligible for Medi-Cal? Upon verification the household will receive information about selecting a managed care plan in the county. Always select “Yes” the consumer wants to see if they qualify for free or low cost health plans for each member of the household unless they already have coverage such as Medicare. Select “None of the above” when asked if the family has been offered any minimum essential coverage health insurance if true and accurate. What is the date of Medi-Cal eligibility? Individual with medical bills accrued 90 days before application date can request Medi-Cal retroactively pay those bills. This request must be made at the county office. What if an individual needs health care before receive Medi-Cal card? How does someone cancel Medi-Cal? Why does Covered California show eligibility for both tax credits and Medi-Cal? Restricted scope Medi-Cal is not minimum essential coverage and must be paired with a qualified health plan to meet the individual mandate requirement to avoid tax penalties in many cases. What if the individual has an old Legal Permanent Resident Card? This will allow the application to go through the Covered California system and they an image of the LPR card can be uploaded in the documents section of the application. What document types can be uploaded for verification? If Medi-Cal is denied can the consumer appeal? Yes, they need to contact the service center, Hearings Division of DPSS or local county social services office to initiate an appeal. Will Certified Insurance Agents be paid for enrolling individuals and households into Medi-Cal? Yes, there is funding to pay agents but additional legislation needs to be passed for complete authorization. This funding ran out in 2015. There is no longer any compensation to agents for Medi-Cal enrollments. The reimbursement will be $58 per household, regardless of the number of family member enrolled. The household or individual must be newly eligible for Medi-Cal and not have been Medi-Cal recipient in the last 12 months. There is no payment for mixed family application such as parents with tax credits and children with Medi-Cal. There is confusion if only online applications through CalHEERS are eligible for the $58 or also paper applications. Power point presentation of the webinar given to Certified Insurance Agents on how Medi-Cals works with Covered California, the various programs and the different plans available to beneficiaries. It is a nice overview of a confusing topic as Medi-Cal is distinctly different from Covered California, but people can apply for Medi-Cal through Covered California. Covered California in coordination with the Department of HealthCare Services has produced a comprehensive guide to Medi-Cal and how it works. The Medi-Cal Eligibility, Benefits and Options Advance Study Course provides high level details regarding the often times mysterious workings of Medi-Cal. For more detail on the items outlined below, download the guide at the end of the post. There are many different programs under the Medi-Cal umbrella and most all of them are administered by each county within California. Optional Targeted Low Income Children’s Program (OTLICP), also known as Medi-Cal kids, provides full-scope Medi-Cal benefits for children under 19 years old to families with incomes under 266% of the federal poverty line (FPL). Breast and Cervical Cancer Treatment Program for adults with breast cancer and incomes up to 200% of the FPL with restricted or full scope Medi-Cal benefits. Aged, Blind and Disabled Program for individuals over 65 or with qualifying disabilities with no-cost Medi-Cal benefits. 250% Working Disabled Program provides low-cost Medi-Cal benefits to disabled individuals with incomes below 250% of the FPL. Medicare Savings Programs for qualified Medicare beneficiaries offers assistance in paying for Medicare’s premiums and potentially help with deductibles and coinsurance. Medi-Access Program for pregnant women can earn up to 322% of the FPL, be enrolled in a private health plan with tax credits and receive limited scope Medi-Cal benefits to reduce deductibles and coinsurance for pregnancy related health care services. ACA expanded Medi-Cal allows individuals and families with incomes below 138% of the FPL to participate in county operated managed health care or HMO plans at low to no cost. There are two broad groups of Medi-Cal programs: MAGI and Non-MAGI programs. MAGI based programs are available to individuals and families based solely on their Modified Adjusted Gross Income as determined through Covered California enrollment. Non-MAGI based Medi-Cal programs and assistance considers the assets of the individual or family. Non-MAGI based Medi-Cal is most often associated with assistance for people in skilled nursing facilities. Estate recovery rules apply to both types of Medi-Cal for individuals over 55 years of age. Full Scope benefits include coverage for all the essential health benefits of a private plan plus dental, mental health services, pharmacy, vision and drug and alcohol treatment coverage. There is also coverage for durable medical equipment such as wheelchairs, hearing aids, occupational therapy and chiropractic services. Restricted Scope benefits are usually confined to emergency and prenatal care services. The type of restricted or limited services will vary by the program. Covered California only determines the eligibility for MAGI based Medi-Cal programs. Eligibility and coverage will start the first day of the month of the individual’s application. Applications for Non-MAGI based Medi-Cal should be made through the individual’s respective county social services office. Residents of San Francisco, San Mateo and Santa Clara counties will get a higher FPL income percentage making more children eligible for Medi-Cal kids. Families in these counties who think they qualify with the higher incomes should contact their local county social services department. Medi-Cal enrollment is open year round. 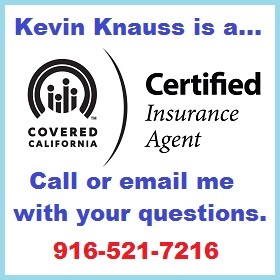 Different rules apply for determining a Covered California household or a Medi-Cal household. The Medi-Cal rules are more lenient. A pregnant woman is counted as two individuals under Medi-Cal but only one under Covered California. There are also other rules concerning adult dependents such as a mother-in-law living with her son or daughter. The guide covers many of these complicated relationships but it is always best to contact your local county social services department for definitive clarification. The Optional Targeted Low-Income Children’s Program (OTLICP) offers healthcare coverage for children previously in the Healthy Families Program (HFP) that were transition into Medi-Cal. OTLICP provides full-scope Medi-Cal benefits at no- or low-cost to children with eligible immigration status and household income up to 266% of the FPL. Medi-Cal Access Program, formerly Access for Infants and Mothers (AIM), includes infants whose mother’s income is above 266% up to and including 322% FPL. These infants are registered into the DHCS Medi-Cal Access Infant Program back to their date of birth once registered by the mother, plan, provider, or hospital. The infant is eligible for up to two years of coverage through the Medi-Cal Access Infant Program as long as the family income stays within the Medi-Cal Access Program’s income eligibility levels at the one year renewal. Up to 60% of the FPL is eligible for full-scope Medi-Cal benefits. Above 60% up to and including 213% of the FPL are eligible for limited-scope Medi-Cal (pregnancy-related only benefits). Pregnant women may transition to the MAGI parent/caretaker group (full-scope Medi-Cal) during their 3rd trimester if they meet the income requirements (0 up to 109% of the FPL). Women will remain eligible for full-scope or limited-scope Medi-Cal for pregnant women until the end of the post-partum period that ends at the last day of the month in which the 60th day occurs. Medi-Cal requires that individuals and families verify that they reside in the county in which they will receive Medi-Cal benefits. The guide also details the various types of immigration statuses and documentation to be determined eligible for Medi-Cal if the individual or family are not citizens of the U.S.
Share of Cost (SOC) means that the individual will have to pay a portion of their medical expenses out-of-pocket. In some instances, Medi-Cal beneficiaries must pay a fixed monthly dollar amount toward their medical expenses before they qualify for Medi-Cal benefits. A Medi-Cal beneficiary’s SOC is similar to a private insurance plan’s out-of-pocket deductible. The SOC amount is calculated by the County Social Services office using the beneficiary‘s household monthly income and the Medi-Cal Maintenance Need Income Level (MNIL), which is a calculated amount that is needed monthly to pay for living expenses. SOC Medi-Cal does not qualify as minimum essential coverage. Therefore, beneficiaries can request that their local County Social Services office review their case for MAGI Medi-Cal eligibility. While some Medi-Cal beneficiaries will be in Fee-For-Service plans where they may have to pay a share of cost (SOC), most individuals will select a manage care or HMO plan for their benefits. Medi-Cal HMO plans are either non-profit plans run by the county or a private plan that has contracted with the county to provide Medi-Cal full scope benefits. Each county may have different plans available to the Medi-Cal beneficiaries. Some counties may have only one plan. In almost all instances, the individual or family will have to select a managed care plan or one will be chosen for them. Medi-Cal provides certain individuals with temporary and immediate coverage before they are formally determined eligible for a Medi-Cal program. These programs grant individuals with presumptive eligibility (PE), meaning they are presumed eligible without a full eligibility determination. However, a full Medi-Cal application must be submitted within 60 days of PE coverage or PE will be terminated. Depending on the program, Individuals are enrolled in PE by participating providers and not done through the County Social Services office or CoveredCA.com. There are specific presumptive eligibility guidelines for pregnant women, women diagnosed with breast or cervical cancer, and individuals in need of hospital services. Effective January 1, 2014 as part of the Medi-Cal expansion, the Former Foster Care Children’s Program (FFCCP) extended coverage to youth, up to the age of 26, who were in foster care on their 18th birthday regardless of income. If an individual previously aged out of the FFCCP, but is under the age of 26, the individual still qualifies for no-cost, full-scope Medi-Cal benefits up to their 26th birthday. The FFCCP group does not go through MAGI income determination. Since Medi-Cal pays for medical care for some people whose savings and income are too low for them to pay for their own care, the cost of an individual’s medical care, or the premiums paid for care may be required to be repaid to Medi-Cal upon the individual’s death. The costs that Medi-Cal will evaluate are those incurred over the age of 55 or for nursing home or long term care incurred prior to the age of 55. Medi-Cal will also not seek reimbursement for services that are also covered under Medicare if the beneficiary is enrolled in a Medicare Savings Program. Repayment is never more than the value of the assets the individual had at the time of death. The amount repaid will be used to pay for medical care for others who need it. It is possible to have Medi-Cal and other types of health coverage. In most cases, when an individual is enrolled in Medi-Cal and private or employer-sponsored health insurance, Medi-Cal will pay for services not covered by the primary insurance. Under federal law, anyone currently enrolled in restricted-scope Med-Cal or with a SOC may purchase subsidized coverage through Covered California, because these forms of Medi-Cal are not considered minimal essential coverage under the ACA. It is not possible to qualify for MAGI Med-Cal and Covered California with subsidized coverage at the same time. However, if a consumer is enrolled in a Covered California health plan and is subsequently determined to be eligible Medi-Cal, they will receive the tax credit for the time they were enrolled in the Covered California health plan. Covered California guide to Medi-Cal programs, eligibility, and benefits. Department of Health Care Services Modified Adjusted Gross Income (Expanded Medi-Cal) household size flow chart for determining how many people are in a household.